At Red Oak Lawns we know firsthand how hard a Minnesota winter can be. With subzero temperatures, blowing winds, and zero visibility blizzards rest assured, we are already out there fighting mother nature. 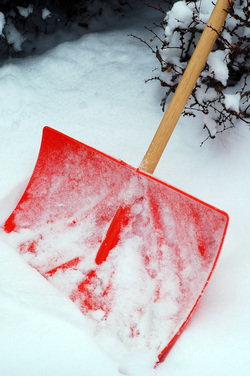 We offer commercial and residential services which include all aspects of snow removal including: Cleaning and de-icing driveways and sidewalks, hauling snow, parking lot clean up, clearing decks, and cleaning out window wells. With Red Oak Lawns there is no snow left behind. We offer men with shovels, snow blowers, Bobcats, and plow trucks. Not only do we handle small driveways and major commercial parking lots, but we have the ability to keep you open throughout business hours. We will do our best to keep your business open and leave you with one less thing to worry about so you can run your business. When you hire Red Oak Lawns for all your snow removal needs rest assured—you can even put your snow blower and shovel in next year’s rummage sale! Just think—no more back braking shoveling or trying to get that snow blower running. You will be the envy of the neighborhood, leaving more time for you and your family. Give us a call today for a free quote.